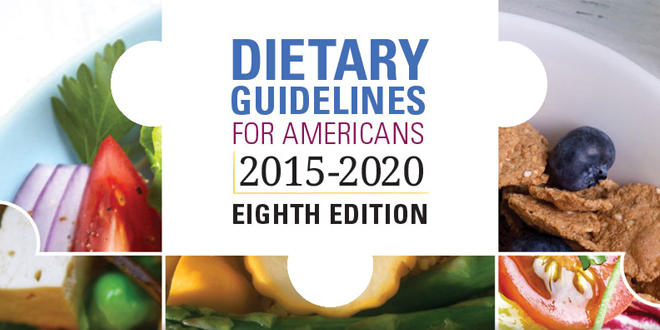 What do the 2015-2020 USDA Dietary Guidelines mean to you? Cardiovascular disease, type 2 diabetes and obesity have been on the rise, but an abundance of research shows that healthy eating patterns and regular physical exercise reduce the risk of chronic diseases and lead to longer lifespans. We also need essential supplements to provide sufficient living nutrition to promote cellular health needed for optimal health. Under the 1990 National Nutrition Monitoring and Related Research Act, the U.S. Departments of Health and Human Services (HHS) and of Agriculture (USDA) must publish a report outlining nutritional and dietary information and guidelines for the general public. The jointly published report seeks to educate medical professionals and the general public on new nutritional research that can lead to a healthier, and longer living, populace. For the first time ever, the USDA threw away its infamous “Food Pyramid,” and replaced it with “MyPlate.” MyPlate resembles a dinner plate that is divided into quadrants of various sizes. The vegetable quadrant is the largest, followed by whole grains, then fruits, and finally protein. Way ahead of its time, the Hallelujah Diet has prided itself for two decades on offering the framework for optimal health in ways that the Dietary Guidelines now show to be the true path to a healthy, disease-free body. The Dietary Guidelines demonstrate the effectiveness of a plant-based diet by recommending that vegetables from all subgroups—dark green, red and orange and legumes—as well as fruits, nuts and seeds, soy products and whole grains should be consistently eaten. Additionally, saturated fats and trans fats—often found in animal products and processed grains—and added sugars and sodium should be rarely consumed. 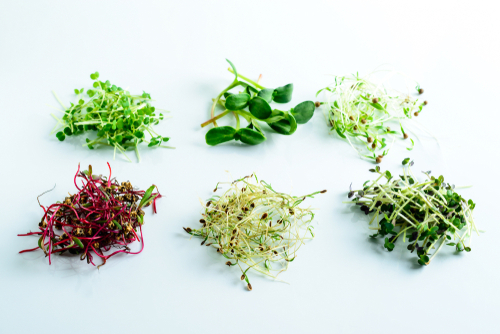 With the publishing of its current Dietary Guidelines, the USDA, like the Hallelujah Diet, is committing itself to providing Americans with the necessary resources to avoid disease and optimize health through a plant-based diet. Dramatically improve overall health and well-being. The USDA scientifically proves that unhealthy eating patterns are associated with increased risk of type 2 diabetes, cancer, chronic disease and obesity, and the Hallelujah Diet is the ideal solution to educate about healthy eating patterns while providing products that are proven to optimize full-body health. How Should You Get Your Protein? Although it’s the smallest of the four quadrants on MyPlate, protein plays an important role in a healthy eating pattern. Specifically, the Dietary Guidelines explain that protein is packed with nutrients like vitamin B12, vitamin B6, riboflavin, selenium, choline, phosphorus, zinc, copper, vitamin D, and vitamin E.
Additionally, the USDA confirms what HD has always said: plant-based protein is loaded with the same nutrients as animal protein. While the Dietary Guidelines highlight the immense protein in nuts, seed, soy products and legumes, the USDA highlights animal protein’s positives without explaining the disease-causing aspects of an animal-based diet, which some nutritional scholars have called irresponsible. Understanding that protein is a vital part of optimal health and that animal protein has numerous damaging, disease causing properties, reach for Hallelujah Diet’s Essential Protein Pure Powder to fulfill all your protein needs in an efficient, delicious supplement. 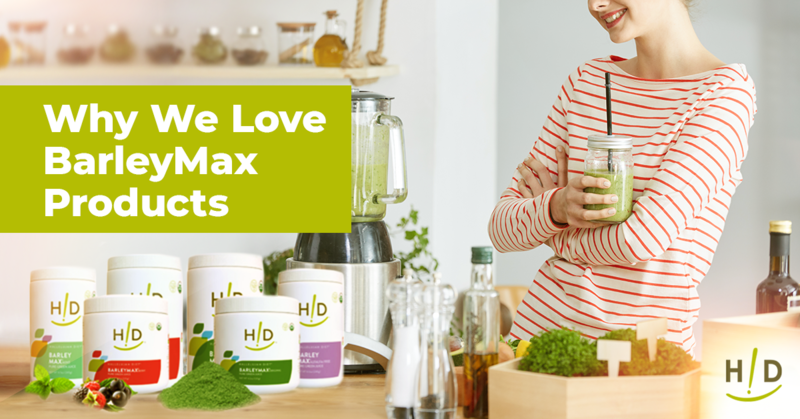 Aside from its high level of protein, HD Essential Protein Pure Powder is 100% organic, full of vitamins and minerals and loaded with prebiotic fibers that increase immune system and gastrointestinal function. The Dietary Guidelines recommend that Americans consume less than 10% of their daily calories from saturated fats. Saturated fats are especially dangerous to the body because the human body has no dietary need for the damaging fats. Evidence shows that saturated fats increase total cholesterol and LDL cholesterol, which can lead to heart attacks and cardiovascular disease. Instead of high saturated fat foods like animal products and processed foods, the USDA recommends foods with sources of monounsaturated fats like olive oil and nuts to reduce total cholesterol and LDL cholesterol, increase HDL cholesterol and diminish the risk of cardiovascular heart disease. The 2015-2020 USDA Dietary Guidelines are a major improvement upon its previous editions because the USDA now primarily promotes a plant-based diet. But it misses the mark slightly by recommending animal products like animal protein and dairy products. Also, added sugars and food high in sodium should be avoided at all costs due to their likelihood to increase blood pressure, insulin levels and inflammation. 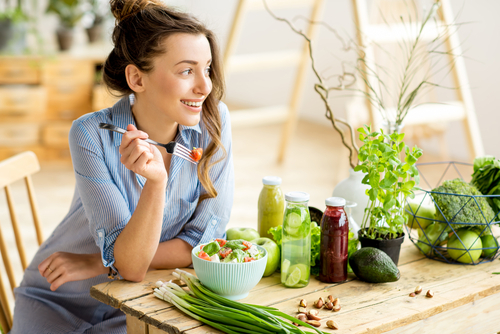 Finally, the key to achieving optimal health is a dedicated commitment to healthy eating patterns that are packed with nutrient-dense, plant-based foods like whole grains, nuts, seeds, fruits and vegetables. I hope that you are not recommending soy products. That would very much disappoint me. As is recommending canola oil. That is purely and simply a Frankenfood. To be avoided at all costs. In fact, canola oil should be outright banned it is that dangerous. Can you please explain why you say it will be disappointing? Is Soya bad for one’s health and what soya products are bad? Also should we eat Soya in its most natural form. My family lives on soya milk and if it is bad please let me know so that we can make changes. what’s bad about soy products. In short, most soy is genetically engineered to withstand herbicides that contaminate the beans and products. Soy contains anti-nutrients that inhibit the uptake of minerals and thyroid function. In countries where soy is consumed, it is primarily consume in fermented form which deactivates many of the anti-nutrients. Organic soy, that is traditionally fermented is Ok in moderation.